Pump up the (4th annual) Jam! Pictured above, some of the items that will be given away on Sunday at the Pump Jam from 9:00-11:00a.m. 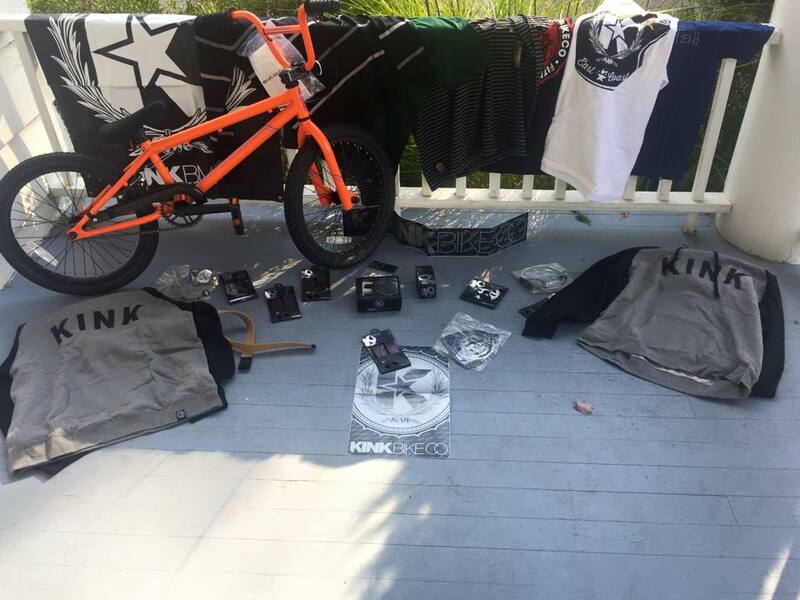 Thanks Kinkbmx.com, Towncycle.com and bike.shimano.com. I just want to share with everyone that I am really looking forward to our 4th annual pump jam! I’m bringing around a hundred bagels, a bunch of butter and cream cheese, water and Larry Fitzgerald Womens Jersey maybe some coffee for Cheap Jerseys From China the mom and dads. I’m Jake Rudock Womens Jersey giving away a BMX bike to some lucky kid. I’m going to hand Manny Ramirez Womens Jersey out Wholesale NFL Jerseys Cheap Jerseys lots of swag. I saw Cheap Jerseys Aaron Chase today and he is coming with Wholesale Jerseys some friends. That means some awesome riding and Aaron Dave Robinson Youth Jersey is pumped to join us. Landry Jones Womens Jersey Oh, and it’s all free thanks to our wonderful sponsors and yours truly because it’s been such a great year. I hope to see you all Sunday. This entry was posted in events, News on October 5, 2015 by pumptrack_admin.